The April 1 event will feature wine, beer and now champagne. The Moorestown Community House will host its 12th Annual Wine Tasting on Saturday, April 1 from 5 p.m. to 9 p.m. With some new features added, this event is sure to be the best one yet. 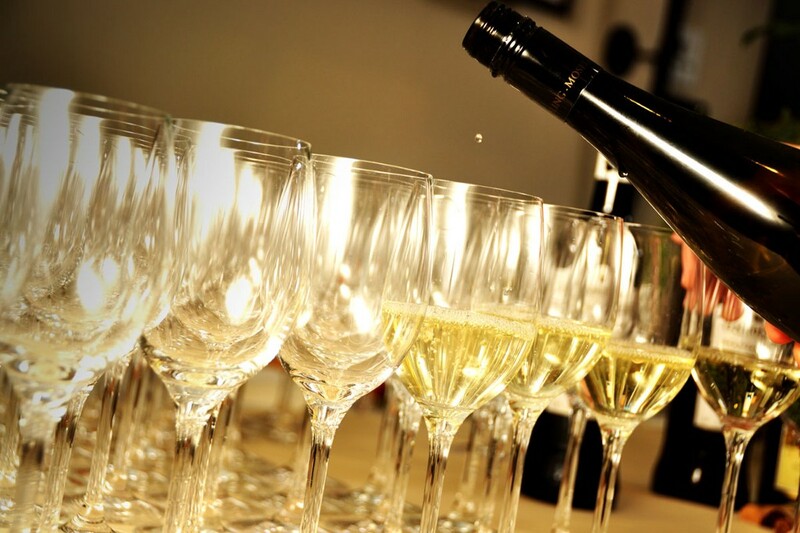 Join us for wine, beer and now champagne tastings. The Community House will be introducing its Bubbly Bar, sponsored by Apple Kitchens, Inc. Also new for those not wishing to imbibe: the Sober Bar, sponsored by Tabula Rasa HealthCare. For cigar lovers, the popular outdoor Stogie Shack, sponsored by Esposito Family Dental, will make a return. Once again this year The Community House will offer a VIP opportunity with a more intimate setting with a wine expert sharing higher end wines accompanied by more education. It will also feature a new VIP Lounge for VIPs to relax and enjoy a drink and enjoy some appetizers. Space is limited for this “VIP Tasting”, which begins at 5 p.m. VIP tickets are an additional cost of $25. All who join in for the evening will enjoy a selection of wine and beer tasting stations compliments of ShopRite Wines and Spirits of Cinnaminson, accompanied by an extensive food selection created by Due Amici. Silent Auction items will be available for bidding online prior to the event and also throughout the evening. There will also be a basket raffle and 50/50 raffle. The Community House would like to thank its generous sponsors to date for this successful fundraiser, including Bayada Home Healthcare, Holman Automotive, and Weichert Realtors, among many others. Your support confirms your commitment to the growth of non-profits, philanthropy and community and allows The Community House to continue fulfilling its mission of strengthening the community by providing a home for all social, recreational and civic needs of individuals, families and organizations. Proceeds allow The Community House to continue offering subsidized space to more than non-profits and organizations that use its home to advance their charitable missions. As well, it can continue bonding people and families to each other and to Moorestown with meaningful community focused events such as the Tree Lighting Celebration, Summer Movie Nights and its Summer Concert Series. Attending the event will be a wonderful opportunity to come see The Community House’s newly renovated clubroom and upstairs bridal suite. Tickets are on sale now at www.501auctions.com/mch for $65 per person. For those interested in becoming a sponsor, or who would like to donate a Silent Auction item, please contact Caryn Lynch, executive director, at caryn@thecommunityhouse.com, or Keith Omlor, event chair, at komlor@carekineses.com. For more information about The Community House, visit www.thecommunityhouse.com.